The last few months have seen more algorithmic updates than the entirety of 2016. On September 23, 2016, Google made an announcement that the entire SEO world was dying to hear: Penguin would become part of the core algorithm. With the release of Penguin 4.0 it has become clear that Google’s purpose is to build a fairer online ecosystem, by shifting focus from link-building to brand building. But we’re not here to discuss the impact of Penguin. Google’s Accelerated Mobile Pages (AMP) are coming to search results (SEW). Google’s Mobile-first Index Has been Announced (SEL). Let’s take a closer look at these updates to see how they may impact your site and what you can do to prepare for them. Gary Illyes mentioned on Twitter that Google is experimenting with a mobile only index more than a year ago. We all know that, for Google, “experiment” means the first step toward the implementation of a new algorithm. The mobile-first Index was officially announced on the Webmasters Blog on Nov. 4, 2016. Nevertheless, the algorithm is still undergoing experiments. According to Search Engine Watch, it is set to go live within months. Check Google’s Webmaster Guidelines Again. I strongly recommend re-reading the Mobile SEO section of the Webmaster Forums. Build Content for Mobile Contexts. Consider geo-location and how it is changing searches. Use the unique capabilities of mobile devices to provide interactive experiences to your visitors. Optimize for “near me” searches. Content behind accordions or tabs will not be devalued. Don’t make changes to your canonicals. Asking people to switch their canonicals would take forever, so Google will come up with a way to solve this issue. Audit your Link-profile. Google doesn’t want to say anything definite about links (yet). Nevertheless, links remain an important part of the ranking algo. If your mobile content is separate from your desktop content, I recommend conducting a link audit in advance and checking for updates from Google. Title Tag Length: You will have to rethink title tags for mobile. Despite the fact that mobile title tags are roughly eight characters longer than desktop ones, writing longer ones may result in truncated or rewritten results on desktop. Page Speed. There are still huge discrepancies between mobile and desktop load times. Load time continues to be a crucial ranking factor. Webmasters should work toward improving mobile speed, as well as desktop speed. Google’s lead product manager for AMP, Rudy Galfi, revealed that accelerated mobile pages will finish rolling out for mobile organic search by the end of the year. Initially, AMP only appeared in Google’s “Top Stories” carousel. Now more and more accelerated mobile pages are appearing in organic listings. AMP may not be a ranking signal, but it improves user-experience, which leads to improved rankings. Google has also spent tremendous time designing, implementing and promoting AMP. This means that it will, most likely, continue to improve them. Just last month, accelerated mobile pages started showing up in image results, thus expanding the experience beyond the carousel. Google also said that it plans to make AMP content easier to share using URL change. Because accelerated mobile pages are accessed within Google, sharing and bookmarking links has become very confusing for users. Publishers are also concerned that Google is making it harder for them to promote their content. According to Danny Sullivan, starting with 2017, the header at the top of AMP content will allow visitors to easily copy and share URLs from the publisher; all the more reason for webmasters to embrace AMP. Google announced back in August that it will start cracking down on mobile sites with intrusive interstitials. 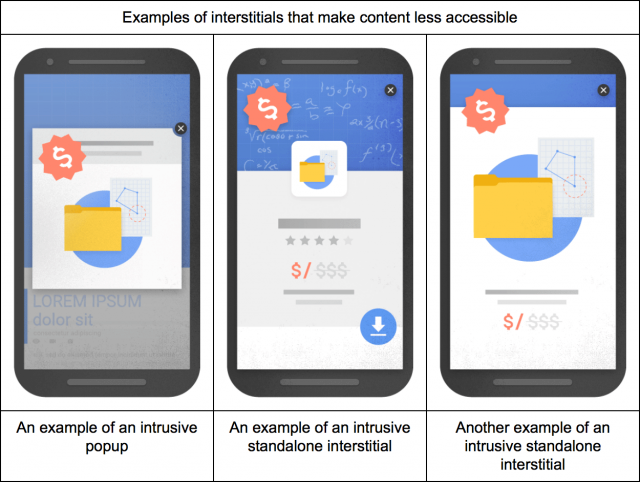 “Pages where content is not easily accessible to a user on the transition from the mobile search results may not rank as highly.” On Jan. 10, 2017, Google announced the Intrusive Interstitials Mobile Penalty. Gary Illies and John Mueller also confirmed it on Twitter. What does the Intrusive Interstitials Update Mean? In short, this update will have a similar effect to the app interstitials ad penalty, launched in September 2015. This means that pages that are making content difficult to access for users will be punished. Google also gave a few examples of interstitials that may disrupt user-experience. 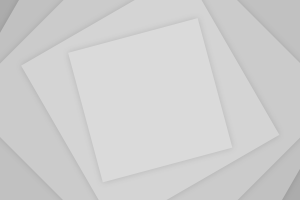 Size content to viewport correctly. Configure your viewport for different screen-sizes. Reduce flash usage, as most mobile browsers do not render this type of content. Note: The penalty only impacts interstitials that appear when someone clicks on your page from a mobile search. Pages accessed from within the site or via desktop browser are not impacted. loana Briean trained as a writer, but developed a passion for SEO. She is a self-taught freelancer who spends most of her time experimenting with profitable SEO niches. At present, she manages the SEO efforts of the WireSeek.org team, with a focus on local search and content marketing.